Often an idea starts with a question or a challenge, Eddie McGoldrick was attending Harvard Business School, when the question of disruption in his industry was posed. This challenge was the spark for PowerOn Technologies and ultimately The Electric Storage Company. Eddie has spent 30 years in the energy industry serving electricity customers in Ireland and the UK. 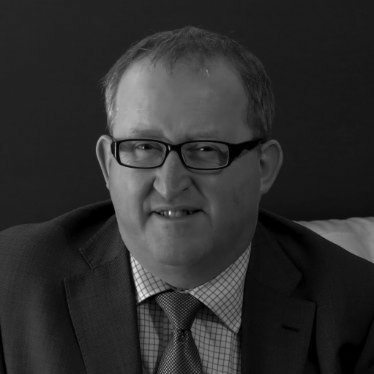 Eddie has built up extensive knowledge and expertise in customers service, technology projects and power networks within the Industry but it was whilst attending Harvard Business School and the challenge that was given to him that the idea for PowerOn Technologies and ultimately The Electric Storage Company was born. The very first power generating plants started as self-generation, using the only fuels available; coal and oil. Widescale electricity generation and distribution to homes and industry started in the cities, typically as municipal operations e.g. Belfast Corporation and Londonderry Commission. The first power station designed to serve all Northern Ireland, Ballylumford, was built in 1943. This enabled rural electrification to really take off, with progress made in bringing light right through until the early 1970’s. A single Northern Ireland grid has been operated to co-ordinate the demands from factories and homes with the outputs from Ballylumford, Belfast East and West, Kilroot and Coolkeeragh, using coal, then oil and finally gas. Fossil fuels were the only viable options. This was a centrally planned, simple model where power was demanded in every corner of the region but distributed out from a handful of medium sized power stations. In the late 1990’s things began to change. The first wind farms were connected to the network. They were a rare sight but today if you stand on any high ground you will be able to see dozens of turbines and solar panels installed in farms, factories and homes. They are now generating from every corner, using clean sources rather than fossil fuels. But they also need to be co-ordinated to ensure the power system maintains the voltage and frequency stability that modern electrical and electronic equipment expects. At present over a fifth of our electricity is now coming from renewables. People are more and more aware of the impact of climate change and so want to to consume differently. Fossil fuels are limited and creating unacceptable side-effects. Electric vehicles are paving the way for a whole new world. PV and other renewable energy devices are common for many households around the world. You know you can produce electricity from sun and wind, but until now you have not been able to store that energy and most importantly, use it when you need it. This is why our field trial is so important. NIE Networks agreed to support this research to add to knowledge. We all need to understand how the whole electricity system can benefit from you being able to store the energy your home produces. A revolution is coming, be part of the revolution! Eddie is a director of PowerOn Technologies. Eddie has worked in electricity and utilities for over 30 years. His huge experience gave him a unique knowledge of the NI electricity network. He began working on PowerOn Technologies in 2001. Trustworthiness, transparency and collaboration are the 3 core values Eddie believes in. PowerOn aims to give empowerment to people through knowledge and data. He believes that PowerOn will give more purchasing power to people. 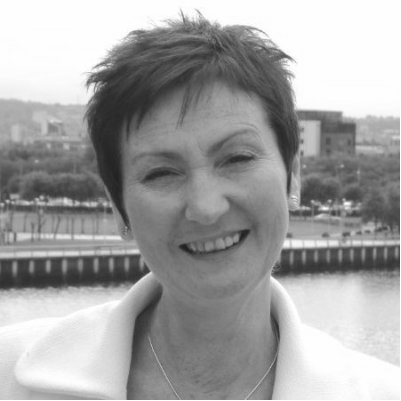 Anne-Marie has over 20 years’ experience in the United Kingdom financial services industry, implementing regulatory change, delivering customer service and leading staff through those changes. She has also been responsible for service transformation in telecoms in the UK, India and South Africa. Her skills in customer service, regulation and compliance along with major project delivery has been invaluable to PowerOn. Kieran is an engineer with 10 years’ experience working in the renewable energy sector. He has explained to people how their renewable systems can work best for them. He recommended to customers renewables they need according to their needs. He also designed and installed bespoke renewable systems. This experience has given him an understanding of the various renewable technologies on our grid today and how the end user utilises energy in the home or business. Kieran has been working with PowerOn for the past 2 years. It takes a lot of time, energy and support to get a new idea to market. We have been very fortunate to have the support and expertise of a number of key organisations. The research unit at Ulster University, InvestNI, NIE Networks and AquaQ, our local software developers. As our field trial progresses we will continue to collaborate and work together to enable our consumers to become prosumers.